3 varieties of Oat Wine in bottles. Standard Oat Wine, Bourbon BA, Cider Brandy BA. 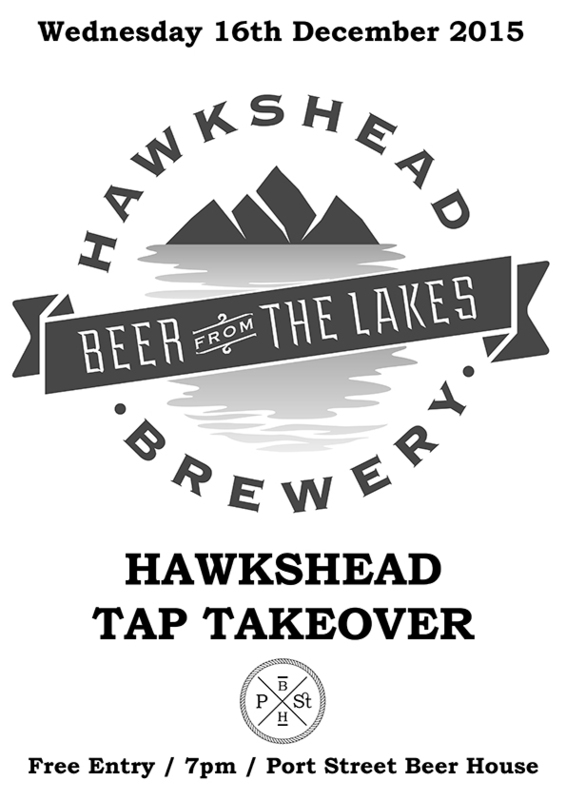 At Hawkshead Brewery we make the sort of beer we like to drink. We brew distinctive, flavourful, modern beers. 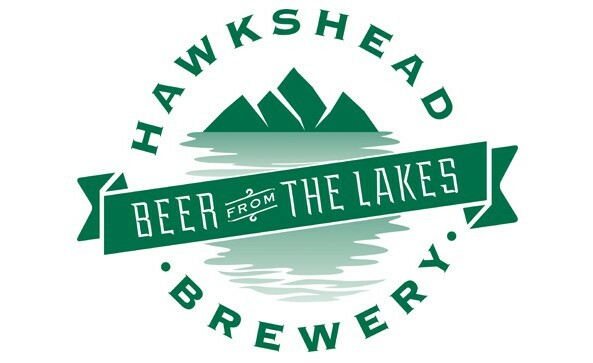 Hawkshead is one of the most successful of the new wave of independent breweries which have ignited public excitement about beer and furthered the renaissance of British brewing. Our beer is full of flavour, handmade, crafted, bold, personal and made by people who LOVE BEER for people who love beer. The Port Street Beer School is RETURNING! 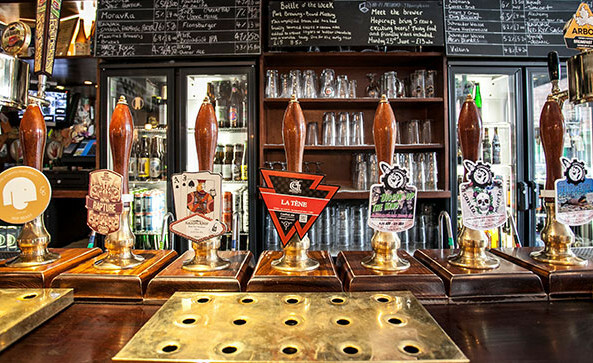 In January when Christmas blues have struck and the cupboard is bare, cheer yourself up with a trip to Port Street for an introductory class into the world of craft beer. Expect to be talked through a variety of beers from around the globe, find out the processes behind them, the truth behind the complex taste, the history of the style and more as one of our beer experts explains all and answers any questions. Also expect to drink lots of beer! Sessions are limited to 12 people. As an extra gift to you we will then give you 10% off your beer for the rest of the evening at Port Street! These days it’s dark outside when you get out of bed. You potter about your flat wondering if it’s too late to have your first cup of coffee. Unsure of the time because your phone’s out of battery & the clock fell off the wall & has been stopped at 8.32 ever since. You haven’t bothered to get a new one yet but you like that clock in that space on the kitchen wall so you’ve just put it back up & now it hangs there useless & lifeless & silent. Much like you now staring at the stove still wondering if you should make a coffee. It could be the middle of the night. It could be 5pm. It could be 5am. It’s dark outside. That’s all you know. You charge your phone just enough to find out the time. It’s the evening. Maybe a bit late for a coffee. Maybe time for a beer. It’s getting colder. Maybe it’s time to dust off one of those imperial stouts you’ve been ageing. You’ve been looking forward to trying that one you brought back with you from a trip to America last year. You wanted to keep it a bit longer. Share it with some friends on a special occasion. It’d be a shame to open it now. You reconsider. If only there was somewhere you could go to get a decent stout & then you could save this bottle. You stop just before you open it. You remember a night in Port Street Beer House. You’re sure you were there around this time last year drinking some imperial stout with bacon in it or something. You remember really enjoying it. You remember there was a whole week dedicated to your favourite style of beer. Your phone now has enough battery. You start browsing the internet trying to find out if it’s happening again this year. You’re in luck. It is. P.S. There will also be young and light beers available. 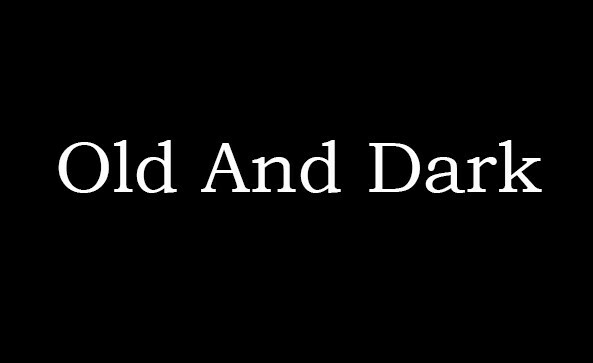 You know a beer is going to be good when it has its own promotional video. Well, that’s maybe not necessarily the case (got the gondola-based Boddingtons advert in mind now) but IT IS this time. 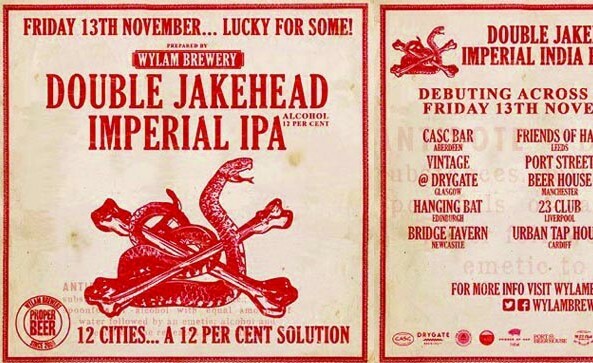 Wylam brewery, of Northumberland, are bringing to Port Street the amped up version of their much-loved Jakehead IPA: Double Jakehead imperial IPA. Clocking in at a heavyweight 12% ABV, the promotional material from Wylam instructs the drinker to absorb by 1/3 pint measure and to follow up with equivalent tablespoons of water. You’ll be able to compare and contrast as we’ll be serving Double Jakehead on keg AND cask. We are the exclusive Manchester bearers of this great gift from Wylam. Come down to the launch on Friday 13th and spook out!